It’s a very strange feeling when you come across two new plays with almost identical themes – a zeitgeist moment where an idea floating in the ether gets picked up by two playwrights in close time proximity. 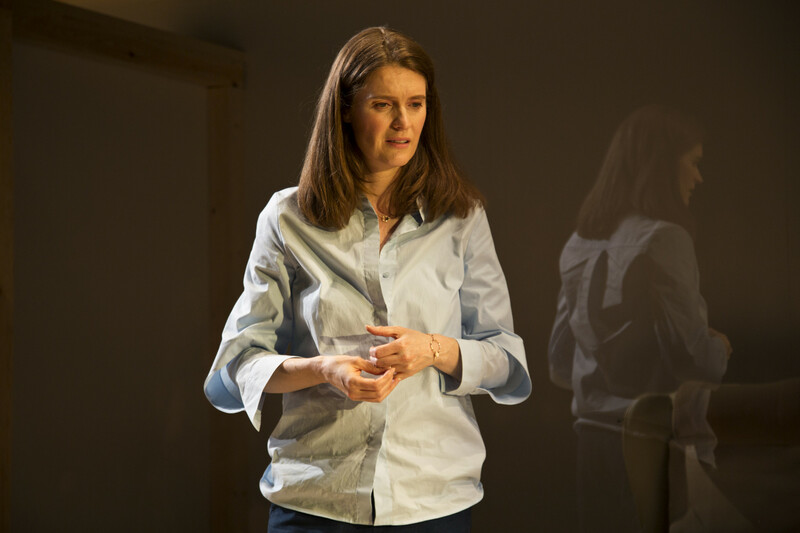 Such has happened with Vivienne Franzmann’s Bodies, just opened at the Royal Court Upstairs – a play that deals with the complex issue of surrogacy and in particular surrogacy in India. Back in March, Tamasha brought Satinder Kaur Chohan’s similar themed play, Made in India to Soho after touring since January. Satinder’s play had been in process since 2013 when she had been chosen as part of Tamasha’s Adopt a Playwright scheme. It had therefore had a long gestation period. So now we have the award-winning Franzmann (Mogadishu, The Witness) suddenly delving into the same area and even coming up with apparently the same surrogacy clinic featured in Kaur Chohan’s Made in India. All very strange. Franzmann, it has to be said, treats the subject quite differently. Where Kaur Chohan used surrogacy as a potent critique on India as the new economic powerhouse, where even the poor will have the means of `empowerment’, Franzmann uses it rather for a meditation on the urge for motherhood. 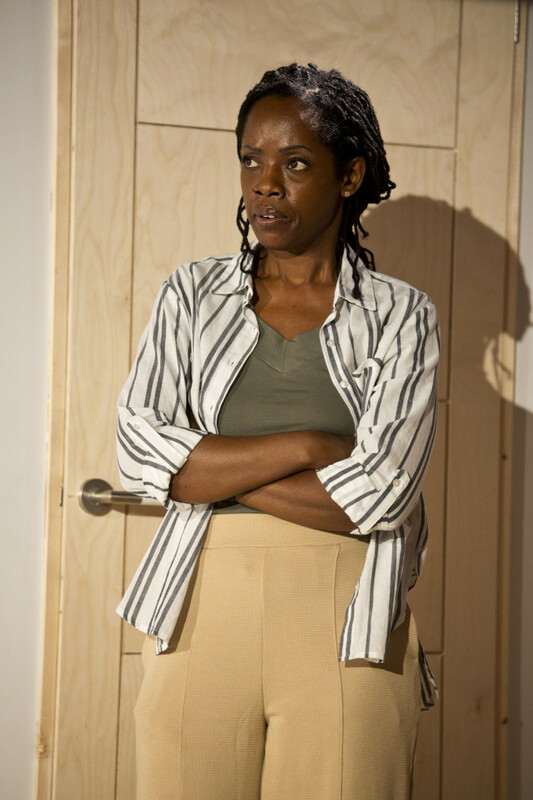 There is a powerful speech delivered by her leading female character, Clem, a woman so desperate for motherhood after so many miscarriages she has come, she says, to `hate’ those who do have children. Like Lorca’s Yerma, Franzmann’s Clem’s desperation blinds her to the damage her urge is creating all around her. Franzmann adds further layers of tension with a father cruelly afflicted by a stroke (he’s a socialist and trade unionist creating further conflict), a loving husband trying to do his best and a dramatised concoction of the dreams, feelings and fears of Clem with the imaginary or possibly `real’ depiction of her daughter, the product of her husband’s sperm, eggs donated by a Russian `donor’ and the `rented’ womb of Indian `host’ mother, Lakshmi. Quite a heated, top-heavy mixture! Interestingly, Kaur Chohan’s Made in India, gave far more time and weight to the Indian end, more of a voice to Aditi the surrogate mother and a nuanced pragmatism and opportunism to the clinic’s doctor faced with a sudden volte face of the Indian government in banning foreign surrogacy. However, the two plays do share the single mother status of the Indian surrogate mother (the husband having died) with Franzmann deepening the trauma with the sudden disappearance of Lakshmi’s own young daughter, left in the charge of her young son whilst she is taken care of at the surrogacy clinic. Even more powerfully she evokes the metaphor of a crow – a symbol of death and dark forces – overshadowing Lakshmi’s pregnancy, erupting within her and partly also articulated by Clem’s teenage daughter. 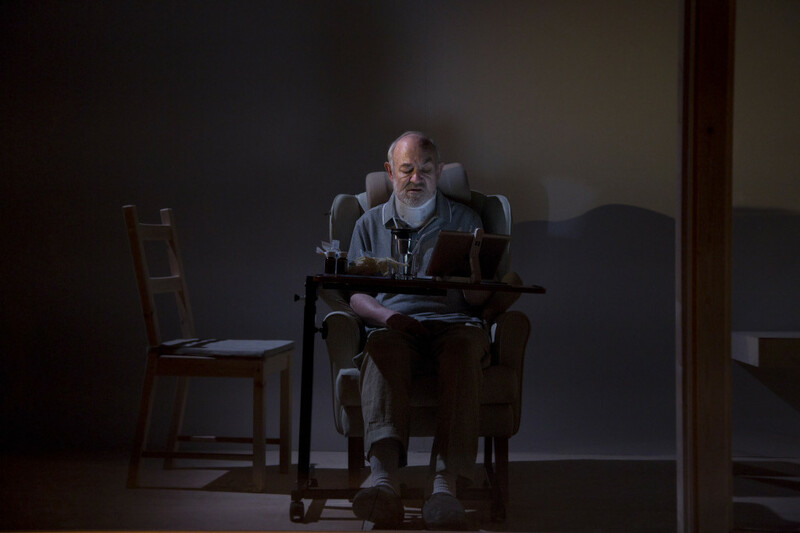 © Bronwen Sharp, Lorna Brown as the home carer of Clem’s stroke affected father, David. Though Franzmann’s dramatic devices tend to be over-stated there is no denying their cumulative impact in Jude Christian’s harrowing production. Bodies emerges as a shattering statement on the new cultural imperialisms: bodies used as commodities, western selfishness, expectations, family, care of the elderly and our society’s dependence on carers from abroad. Ultimately, there is a greater narrative clarity about Made in India and a more authentic Indian focus. But Bodies carries its own home-grown veracity and topicality. Motherhood is a life force but it can also kill. There are some terrific performances, notably from Justine Mitchell as the haunted Clem and Hannah Rae as her actual or fantasised daughter. Jonathan Guinness stepping in at the last minute due to the illness of the cast Brian Ferguson does a fine job as Clem’s husband, Josh as also do Lorna Brown and Salma Hoque as Clem’s father’s African carer, Oni, and Lakshmi respectively. Especially moving is Philip Goldacre as Clem’s trade unionist Dad, David. Confined to a chair, speech impaired, he makes his portrait of a proud man reduced the most emotionally and physically searing I have ever seen. 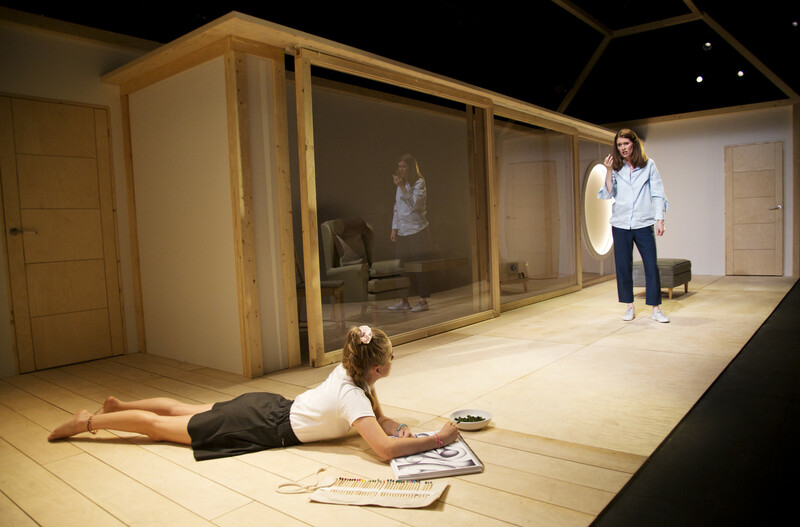 This entry was posted in 2017, Reviews and tagged India, Jude Christian, Made in India, Royal Court Jerwood Theatre Upstairs, Satinder Kaur Chohan, stroke impairment, surrogacy and cultural imperialism, Tamasha, Vivienna Franzmann on July 16, 2017 by Carole Woddis.